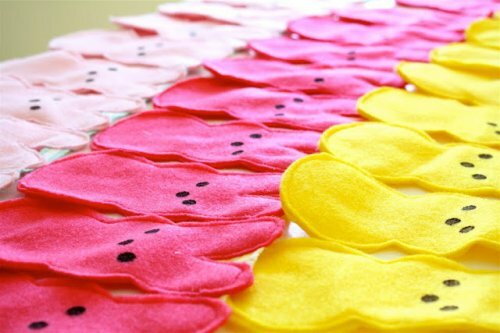 If you think Peeps are too yummy to string up as decorations, follow these instructions to make Peeps bunting from felt. Peeps wreath! You KNOW you want to make one. And lucky for you, you can find free instructions on the GerberaDesigns.com blog.